Giving is always in fashion! In support of National Breast Cancer Awareness Month, H&M has chosen the perfect pink products, starting at only $5.95, of which 25% of the purchase price during the month of October will go directly to the American Cancer Society® to support its important work in the areas of breast cancer research, awareness, and patient services. H&M, Hennes and Mauritz, is excited to announce its seventh year teaming up with the American Cancer Society Making Strides Against Breast Cancer initiative. 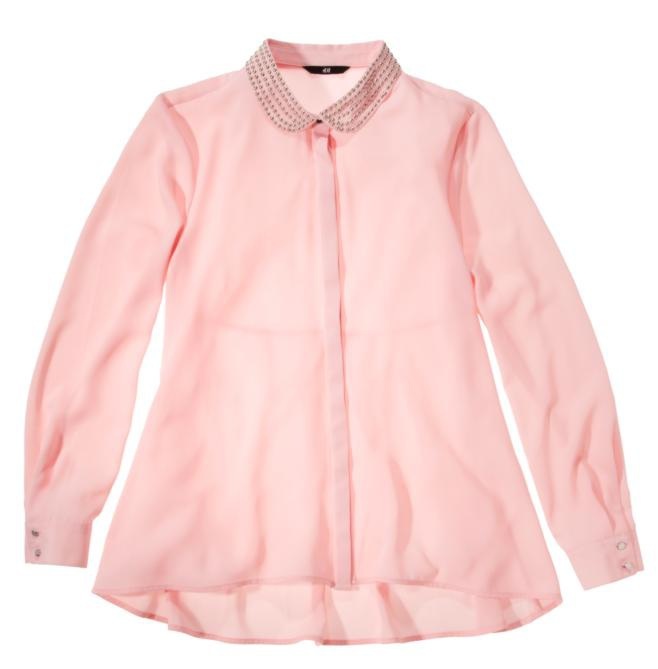 This is the second year H&M has created special products for the charity to raise money for breast cancer awareness. This October, you can pick up a soft pink studded collar blouse, a pair of gloves & scarf, or a smartphone case to help end breast cancer. Making Strides Against Breast Cancer events make up the largest network of breast cancer awareness events in the nation, uniting more than 270 communities to fund the fight. Making Strides walkers turn awareness into action by raising more than $60 million for the American Cancer Society each year – one dollar at a time – to save lives from breast cancer. Since H&M’s partnership began in 2006, thousands of H&M staff members have walked at hundreds of Making Strides events across the USA! H&M U.S. has generated over $850,000 through online staff donations, customer register drives, grants, and percentage of garment sales donations to support the American Cancer Society. To join your favorite H&M team at a walk near you, please visit MakingStridesWalk.org. These special products are available in H&M stores nationwide starting 10/1/12. This entry was posted in Fashion News, Retail Stores. Bookmark the permalink.